When it comes to blast nozzles, the composition of the liner material determines its resistance to wear. 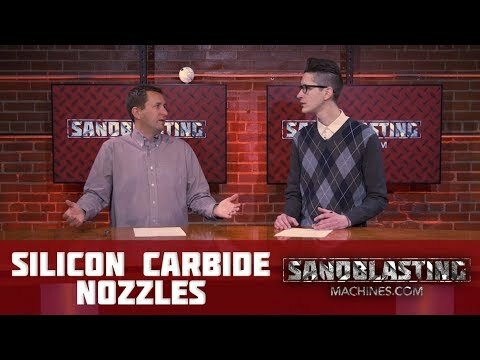 Silicon carbide is a commonly used material for sandblasting nozzles because it exhibits good erosion and abrasive resistance. It is both impact resistant and durable like tungsten carbide nozzles, but lighter. A Clemlite® silicon-carbide-lined, rubber-jacketed nozzle may last approximately 500 hours when using expendable abrasives. Contractor threads are aluminum and 1-1/4” threads are brass. These blast nozzles all have a durable jacket made from natural rubber.